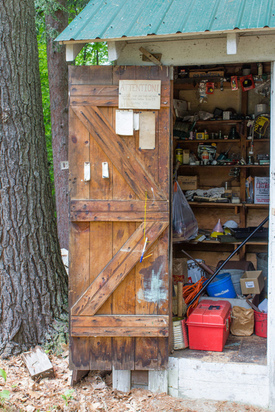 The Tool Shed is where we store the Assembly's wonderful, motley assortment of tools, many dating back to the very earliest days of the camp --- in an extensive Tool Shed clean out done in 2010 to make room for the late Rev. 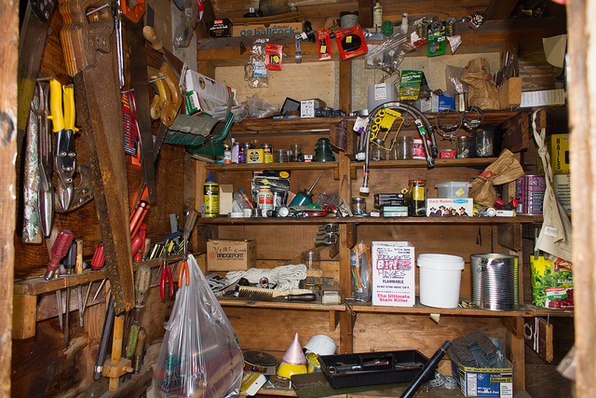 Bill Woofenden's extensive FNCA tool collection, cans of chemicals were found from the 1930's! 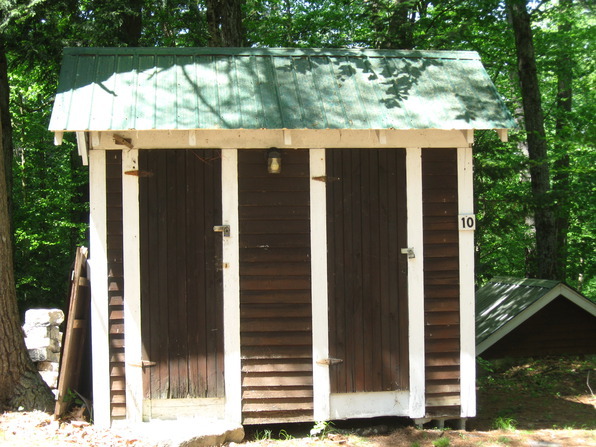 © Jon Cousins 2013Originally located near the south end of the Goddard Annex, the Tool Shed was moved next to Chalmers Lodge sometime in the 1990's. 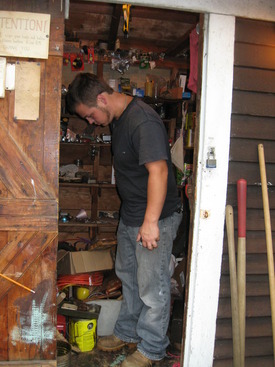 © Trevor 2012Inside the Tool Shed is a wide selection of hammers, screwdrivers, saws, pliers, wrenches, drills, mauls, axes, files, crowbars, staple guns, come-alongs, pipe clamps, tool boxes, scads of hardware, and lots and lots of other tools including various things unknown. 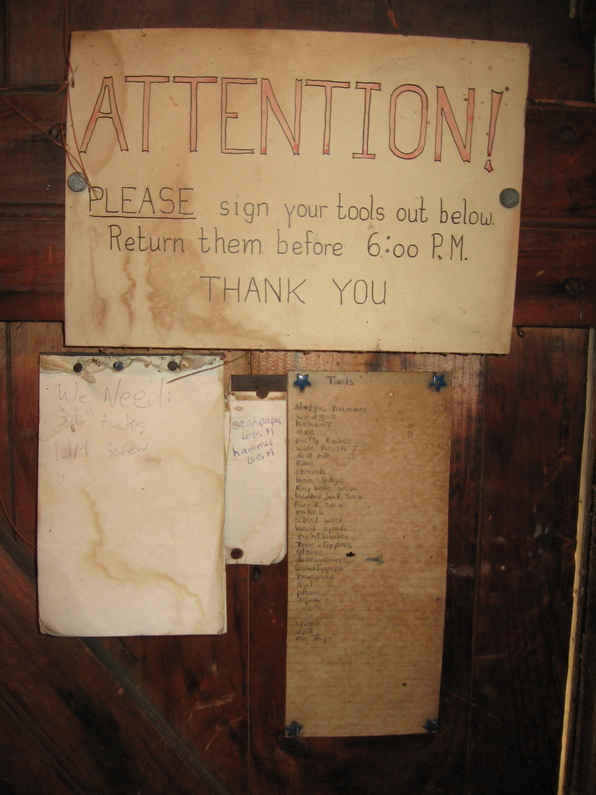 Posted on the inside of the left-hand door (the one that we use) is a very old and pretty much unused tool checkout list which was probably put up when the Tool Shed was originally built!